My local Morrisons had a refit recently and with that came a whole free from aisle, including a fridge and a freezer! 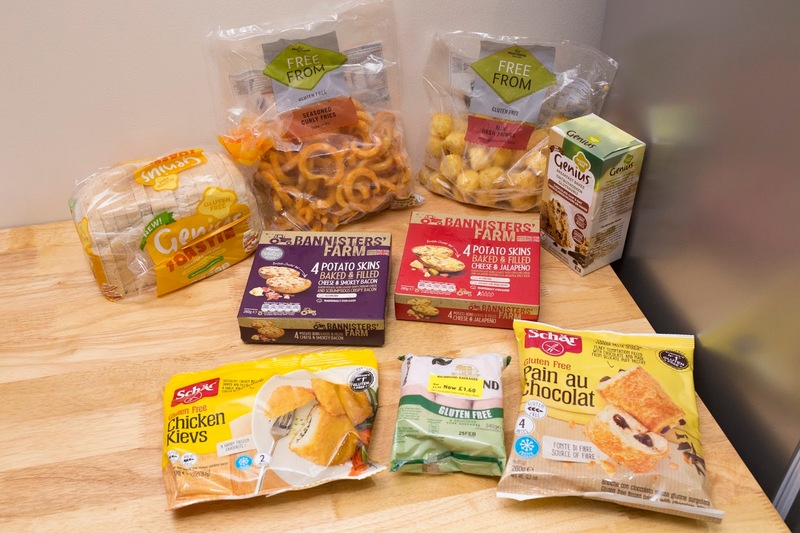 From Jus Rol pastry to garlic bread and packet mixes, they now have it all! I previously found that Morrisons were the weakest for free from foods in my area (although their choc chip cookies have always been to die for!). But now I would say that they are even better than Ocado! I have tried the Rule of Crumb ones before so we decided to pick these ones up to see how they compare! I know most hash browns are gluten free anyway, but bite sized anything is always fun and for £1, I didn't think they were bad value for money for the size of the bag! These are the product I am most excited about! I used to love curly fries and I've yet to find any gluten free ones! I have yet to try these either and as you get 4 in a bag for £3 I thought that they were better value than the Genius ones, so hopefully they taste as good! Richmond used to be one of my favourite brands of sausage as they are so versatile as they have no strong seasoning, so when I saw they started doing gluten free ones and that the pack was reduced to £1.60, I just had to get a pack for the freezer! I have had this loaf many times before, it is perfect for a bacon sandwich, toast or creating finger sandwiches on an afternoon tea. This is the latest product release from Genius. I love breakfast bites as a snack so I thought I would give the chocolate ones a go! We love these as a quick lunch so when they were on offer I just had to get a couple of packs. Unfortunately I really wanted to try the Schar burger buns, but they had sold out!